Horlicks junior chocolate refill pack is the best drink for kids up to the age of seven years. 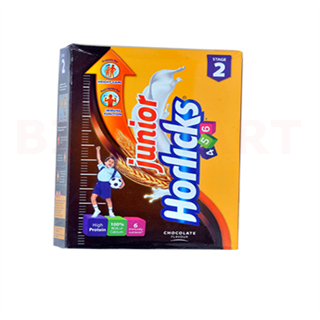 Horlicks junior chocolate refill pack helps in providing twenty three vital nutrients including DHA which is known to be very important for physical growth and mental growth for the growth of a kid. Horlicks junior chocolate refill pack is mainly consumed for brain development for a child. Kids enjoy the rich chocolate flavor added in Horlicks junior chocolate refill pack and the parents love the A to Z nutrients presented in the pack and 100% of daily essential nutrients in Horlicks junior chocolate refill pack. Horlicks junior chocolate refill pack contains no added preservatives or artificial colors. 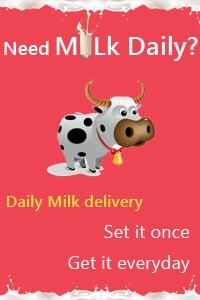 It is proven that horlicks is best delicious and healthy drink for children. It is the tastiest drink which children enjoy in drinking. horlicks junior chocolate refill pack has to be consumed twice a day to get a better results. Horlicks junior chocolate refill pack has protein and vitamins which keeps the kid healthy and playful. Horlicks junior chocolate refill pack is consumed by 55% of children in India which is medically proven that horlicks junior chocolate refill pack is a healthy drink for children.